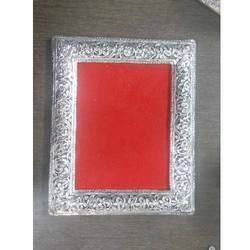 Prominent & Leading Manufacturer from Jaipur, we offer photo frame, bharat handicrafts silver plated photo frame, bharat handicrafts white metal silver plated photo frame and white metal photo frame. We are engaged in offering our customers classy German Silver Photo Frame, that can complement your interior decor and the captured memories in photographs. Available in different sizes to accommodate standard size photographs, we are also engaged in providing this photo frame in customized specifications as per requirements of our customers. 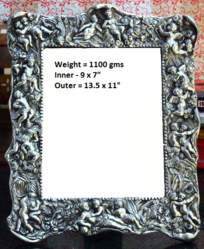 We are manufacturing Silver Plated Photo Frames and more Religious and Decorative items in fine hand carving work in Oxidized Silver and Oxidized Gold finishing. 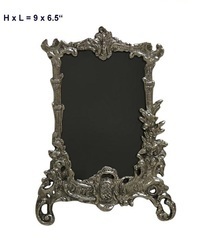 We are manufacturing Silver Plated Photo Frames and more Decorative items in fine hand carving work in Oxidized Silver and Oxidized Gold finishing. 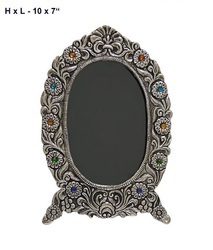 We are manufacturing Silver Plated Photo Frames and more Religious items in fine hand carving work in Oxidized Silver and Oxidized Gold finishing. 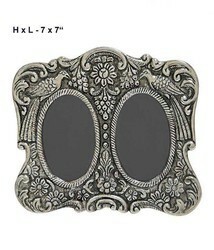 Our organization has been standardized in offering White Metal Photo Frame, manufactured using superior quality material. High in demand for its splendid design, pattern, shape and style .This showcases the creativity of our designers. Made up in compliance with set industry standards in all standard sizes, we are also engaged in providing customization to it. Moreover, this photo frame enhances the elegance of room at extremely cost effective prices.